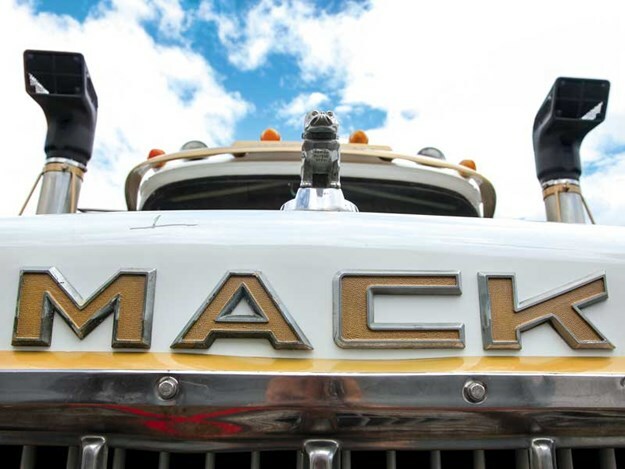 Someone in the neighbourhood is restoring a 1980s Mack. Deals on Wheels’ Viv Haldane went along to find out more. 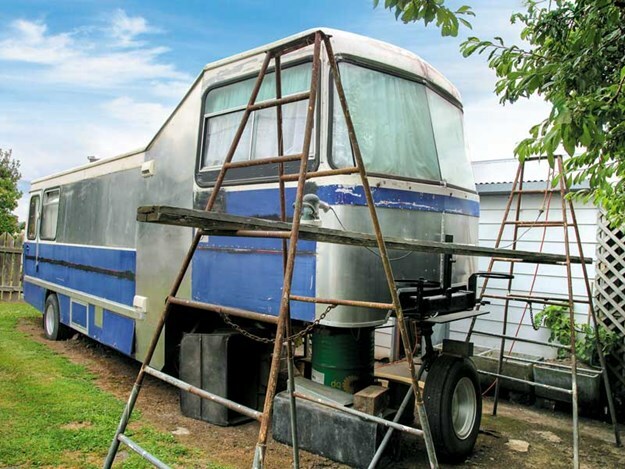 Charley Cross is building a fifth-wheeler with a difference. 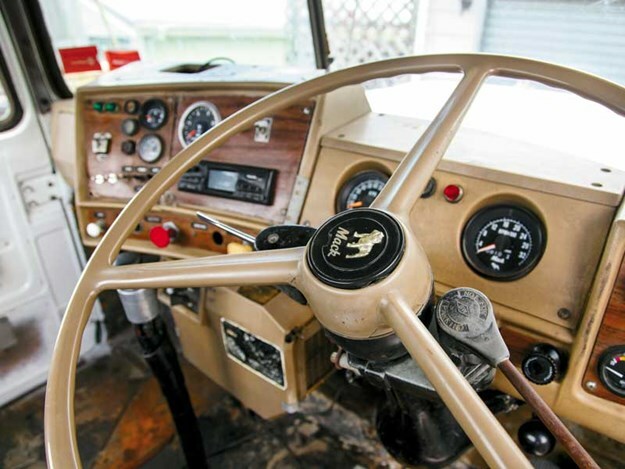 It’s a 1980 Mack R Model, which will have a custom-built caravan fitted behind. And when it’s finished, he’s hitting the road. It’s going to be one humdinger of a set-up. Charley is a bit of an engineering whiz, so he’s doing everything himself. Even though he’s unfazed by such a project, it’s pretty impressive when you look at the amount of work involved across a range of skills— engineering, mechanics, upholstery, spray-painting and carpentry. "There’s nothing as solid and intriguing as the R Model Macks," says Charley. "I think you sort of fall in love with them. Mine has probably been to the moon and back a couple of times." He knows the truck well, having driven it for 15 years while working for his mate Bob Fuller of MacGregor Spreaders. "It was used to cart fertiliser to the spreader trucks. It’s been a good old girl," he says. Charley, who is in his 70s, still works part-time at MacGregor’s. Bob passed away a few years ago, and his son Josh Fuller now runs the company. 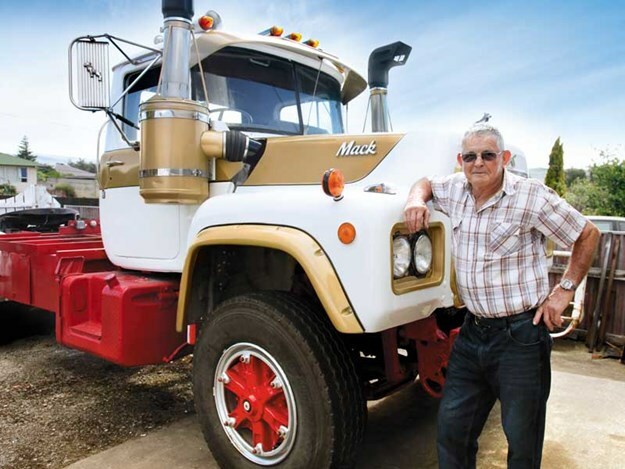 "When Bob bought this Mack, I told him, ‘Don’t you ever wreck this truck because I would like it one day,’" says Charley. "He must have passed that information on to Josh before he died. It sat around the yard and didn’t get used. It was redundant, really, so at that stage I bought it." 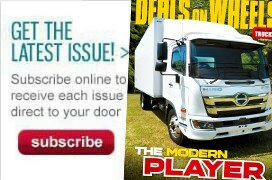 Converting it from a dump truck to a tractor unit with fifth-wheel functionality has been quite a slow process, he says. 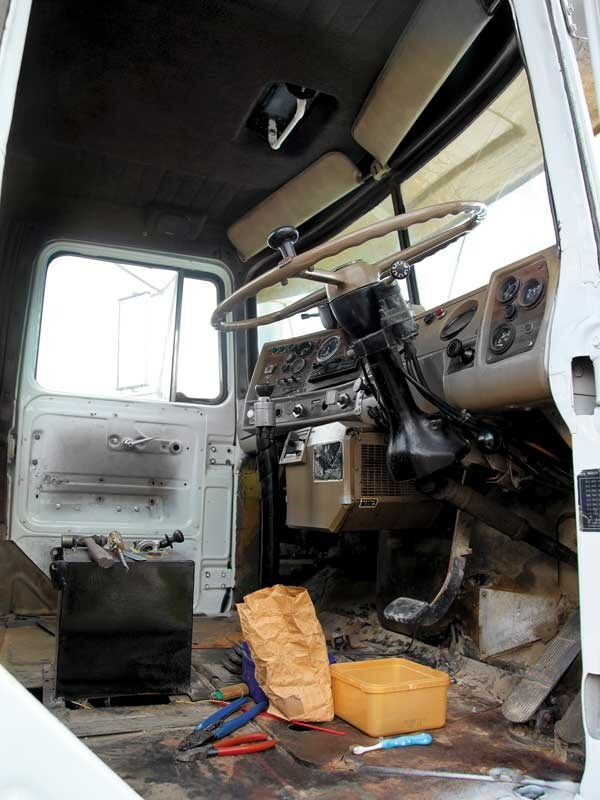 The Mack’s bonnet has been lifted off, the cab stripped out and the chassis cleaned. It’s been repainted in the Fuller colours of red, white and gold. Charley has built the fifth-wheel (turntable) on the truck’s chassis and had it certified. The bull bar has yet to be attached, but the engine is still in good shape and goes well, he says. "I stripped out the seats and I’ll paint all the frames and then the seat bases. After painting, I’ll soundproof the floor using carpet tiles. I’ll put them up the firewall as far as they can go and then lay carpet over the top. I’ve bought an air-suspension driver’s seat to replace the original one as well," says Charley. "I’ve also had door cards made. The other ones were a bit ratty, but they did have the black bulldog on. I miss that detail on the new ones, which I had made locally." The caravan was formerly an Isuzu school bus and Charley is well under way with it, having chopped and changed it to the shape he wants. He has already completed much of the inside infrastructure and done the carpentry, too ("I’m a bit of a bush carpenter," he confesses). When it’s finished, it will be fully self-contained with shower, toilet, kitchen and bedroom. Currently, Charley is working on getting the motorhome finished and the Mack brake coded to get a COF. The association of Charley and his family with trucks makes for a fascinating story in itself. It’s little wonder he can turn his hand to anything to do with machinery: he’s been surrounded by it from birth. 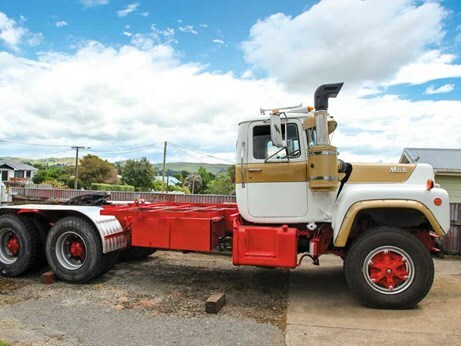 His grandfather James Cross, who started a transport business in Timaru in 1911, also brought the first Leyland truck into New Zealand that same year. 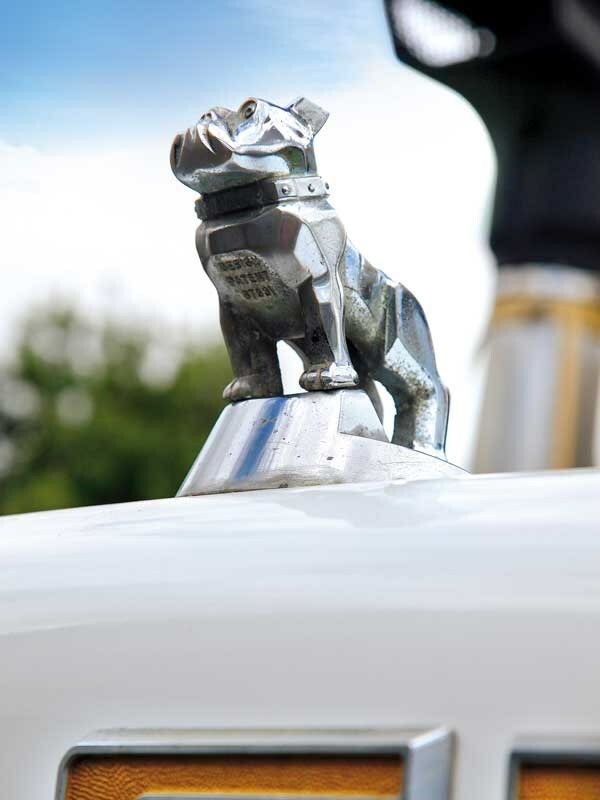 "Grandad began with TT Fords and Internationals that were built from 1917 to 1921," says Charley. "I don’t know how he got them because that was during World War One. Dad was driving one of them in 1918 when he was pulled up by a cop. The cop asked, ‘Do you have a licence, son?’ ‘No’ was the reply, so they told Dad to come back when he was old enough. "The business was a family affair and later, Dad bought the truck from him." Charley brings out a photo album filled with various trucks and cars that his family has owned since the early 1900s. 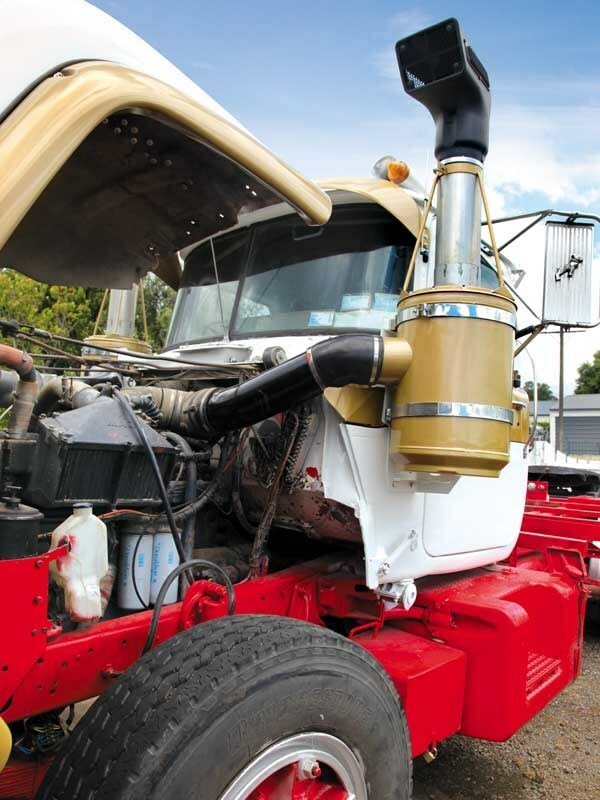 It provides a huge insight into New Zealand trucking history. "I’ve been in and under trucks since I was 10 years old," says Charley, who grew up in Reefton. "That’s how you learned, and you soon got the hang of it. I drove a C30 International on the road when I was 12." When he was 25 and living in Westport, Charley did his mechanic’s apprenticeship. For eight years, he was employed by a West Coast contractor and got the chance to work on and drive everything from trucks and loaders to diggers and draglines. "It was a good experience because if you worked on a machine you really got to understand it," he says. After the Inangahua earthquake in 1968, there was plenty of work rebuilding roads. "It was every man to the pump – we had 14 trucks and seven machines working, including diggers and draglines. You had to be able to drive the lot." 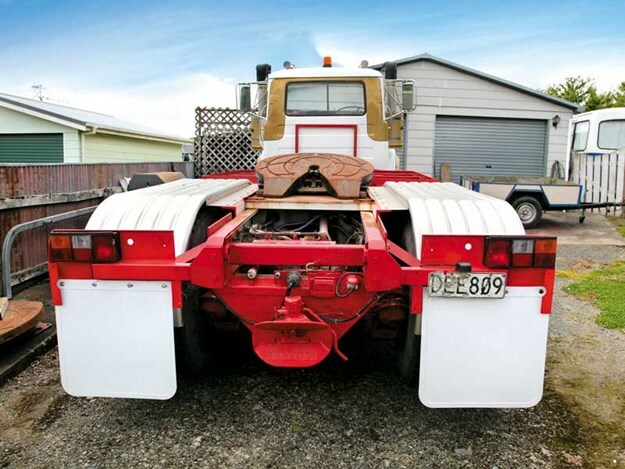 Moving to Blenheim in the 1970s, Charley worked for Gill Construction and notched up experience on a variety of machines, doing roading, forestry and quarry work. He also drove bulldozers—a D7 and a D5, then later a D Series 2418 Ford. Taking a holiday in Hawke’s Bay in the early 1980s, Charley probably didn’t imagine this would be where he’d end up, but that’s how it panned out. He was soon offered work by local business Stevenson & Taylor in their engineering workshop, and he stayed there for the next eight years. "I’ve done some very rare things in my time," he says. "Back in the day when cheap Japanese motors were coming into New Zealand, I did an engine transplant. The local taxi owner had an HQ Holden and he got me to put an Isuzu diesel engine and fit the Holden transmission to it. It went like a rocket!" And talking of rare things, the Mack fifth-wheeler is right up there in that category. So, if you’re on the road and happen to see its unmistakable shape up ahead, give Charley a toot and a wave. What’s your first step? Stop procrastinating and start working on your retirement plan.